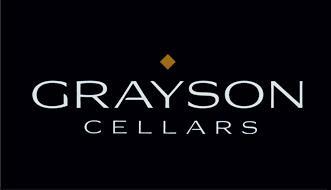 The founders of Grayson believe that we can put to work our Napa Valley winemaking skills to create some of the highest quality wines at the by-the-glass price point. We believe that decades of Napa winemaking experience will allow us to create a better bottle of wine at a better price point than what's generally in the market today. Our wines are carefully crafted by Larry Levin, who is among the most experienced winemakers in the Napa Valley. After completing his Enology degree at UC Davis, Larry spent seventeen years at Dry Creek Vineyard where over 18 vintages he produced more than 15 varietal wines. He has since covered the globe by making wine in New Zealand, Chile, and Australia across all price points and styles. For the previous nine years Larry was head of winemaking at Icon Estates where he oversaw the Franciscan, Mt. Veeder, Robert Mondavi, Estancia, Ravenswood, Quintessa and Ruffino brands. Larry also consults for wineries in the Stag's Leap and Oakville districts in Napa and Sonoma. We insist our winemakers search throughout California's finest growing regions to find the highest quality grapes for Grayson wines. The wines are then made by Larry Levin in Napa, California. Wine Enthusiast 88BEST BUY“This wine has earthy, mineral, petrol aromas and black pepper flavors for an untamed personality. Oak nuances lend a hint of sweetness, and a firm texture features good, grippy tannins.” ~J.G. Wine Enthusiast "Top 100 Best Buy's of 2017""Exotic floral and lemon-zest aromas are backed up by nice ripe fruit flavors and a touch of mint in the medium-bodied and generous wine." ~J.G. Robert Parker 88"Completely fermented and aged in stainless steel. Elegant honeysuckle, orange blossom, and tropical fruit aromas are followed by a nicely-textured, medium-bodied Chardonnay displaying outstanding purity, freshness, and overall equilibrium. Enjoy it over the next year." Wine Enthusiast 87'Best Buy'"An attractive oaky theme runs through this medium-bodied and appropriately tannic wine. It smells like toasted bread, cinnamon and vanilla, and tastes both fruity and full of oak spices." ~J.G. #2 California Cabernet AMONG 450+ TASTED at California State Fair Commercial Wine Competition 2018. This Cabernet shows a dark ruby color with blackberry and raspberry aromas. It’s full of artful fruit, provides a round mouth feel and a soft, lingering finish.